Rationalist Judaism: Are Charedim The New Levites? There's an interesting argument advocated by Rabbi Doron Beckerman over at Cross-Currents. He claims that since there is a mitzvah to give tithes to the Levites to support them in their role as spiritual leaders, and Sefer HaChinnuch extrapolates from this to Torah scholars in general, therefore there is an obligation to support charedim in kollel. Let us overlook for now the fact that Rambam disagreed with the Chinnuch. Let us also overlook for now the fact that many Rishonim grappled with the question of whether teachers of Torah may receive payment for their service and did not simply say that they were effectively Levites and therefore may receive payment. We can overlook those, because I think that most of us will agree that the Jewish People should indeed financially support teachers of Torah. That, however, has nothing to do with charedim in kollel. First of all, Rambam and even the Chinnuch make it clear that they are talking about teachers of Torah, not students of Torah. The Chinnuch writes about how "they will teach His judgments to their brothers in each and every state and in all the cities." And it is a mistake to argue that this also includes students because one must study in order to teach. The vast majority of people in kollel are not studying in order to become teachers, and they are not studying the material or tools that they need to teach. The modern-day equivalents of the Levites are the rabbis and educators across the world, not the tens of thousands in kollel in Jerusalem and Bnei Brak. Second, nobody can demand that others recognize them as modern-day Levites. Imagine if YCT were to demand that the charedi community support them, as the Levites of our generation. The charedi community would understandably respond that they do not recognize YCT as expressing an approach to Torah that they agree with. Likewise, non-charedim do not agree with the charedi approach to Torah. They want religious Zionist and modern Orthodox Torah scholars and educators, not charedi Torah scholars and educators. They would want to support institutions such as Kollel Torah MiTziyon instead, and charedim cannot demand otherwise. Third, none of this relates to the charedi person's own obligations. A person has an obligation to provide for his family and to teach his children to be financially self-sufficient. He is not permitted to assume that others will support him. Rabbi Beckerman argues that raising children in the Israeli charedi system, where there is minimal secular education in elementary school and none at all after that, does not place them at any significant disadvantage to be financially self-sufficient later on in life. He claims that the onus of proof is on those who would claim otherwise. I would argue that his claim is obviously false and nonsensical, especially in light of the articles and hundreds of letters in Mishpacha magazine on this topic. Among the many problems in this post, the Leviim were to be supported be said they taught Torah and otherwise served the Klal. Those sitting in Kollel are not doing anything for the Klal other than being selfish. You missed my point (or I probably didn’t explain it well enough) The selfishness I’m referring to is not in their Torah learning (which is what your source addresses), it’s in their abdication of their responsibilities to the broader society and the burden try place on the tzibur to support them. That is incredibly selfish and is clearly against both the actual and spirit of what Hashem wants from us. Additionally, do you really want to get into a debate by quoting selective sources? How about this one? Unlike aggadic statements in the gemorah that are not always meant l’halacha, Rambam meant what he wrote on a very practical level. The Kollel system in Israel today is unprecedented in Jewish history, goes against countless maamrei Chazal as well as the way Jews have always behaved. For a group preaching the importance of Mesorah at every turn, I find this extremely puzzling. I’m not sure if Rav Beckerman's article is a plea for greater support from the non-yeshiva world or if it is an argument for greater government support (somehow translating tzeddaka into grants from the treasury ministry). The one thing that Rabbi Beckerman has proven to me is how disingenuous chareidim are about their commitment to torah. Chareidim love to put down non-chareidim as not serious about their yiddishkeit, demonstrated by how non-chareidim supposedly pick and choose what mitzvos to take seriously, how they're always looking for kulos, how they find obscure rabbinic opinions to base themselves on, how they come up with twisted rationalizations to justify their behaviors, how they reinterpret halachic logic in ways it was never meant to be used, etc. The one thing I think R' Beckerman (and his fellow defenders) are successfully proving with his valiant defense of kollel is that Blu Greenberg was so right when she coined the phrase all those years ago, "Where there's a rabbinic will, there's a halachic way!" There are other considerations at play in trying to make the comparison between the Leviim and today's kollel communities. First of all, the Leviim did not only get their parnasa from ma'aser rishon, they were also given cities and land around them to grow food or to practice various crafts. Secondly, the Levitical cities were scattered around Eretz |srael so they were pretty close physical contact with the rest of Am Israel. I don't think they walled themselves off from everyone else nor did they teach their young people to shun contact with outsiders. We do know in the Second Temple Period a dangerous gulf formed between the common people ("the Amei Ha'aretz") and the scholars, particularly the "Haverim" who insisted on strict application of the laws of ritual purity, even though the halacha did not necessarily demand this, and this played a role in the fatal divisions that plagued us before and during the war with the Romans. Yet another consideration is to ask what exactly is the role of an educator. While today the kollel community has succeeded in educating people regarding the technical side of halacha, it is not enough to know HOW to keep kosher, but also to explain to the secular majority WHY we should keep kosher. I don't believe most products of Haredi education today would have any idea what to tell a secular Israeli in order to show him the importance of Torah. Rabbi Natan Cardozo, a well-know educator who has extensive contacts with young people in all camps, religious and non-religious has repeatedly stated that young Haredim he talks with frequently are incapable of giving any coherent reason for why the observe the Torah. Thus, it seems the modern kollel community is not living up to the demands that were placed on the Levi'im in the TANACH period. To me, the most upsetting part of this argument is that it turns Torah into a caste system. Certain families must go into Torah, regardless of the individual talents of their offspring. They must be supported by the community. Other families do not need to be supported by the community, the "crown of Torah" is not for them. Once again, this goes against explicit statements in Chazal, and centuries of Jewish tradition. First of all, the Torah explicitly defines a caste system. 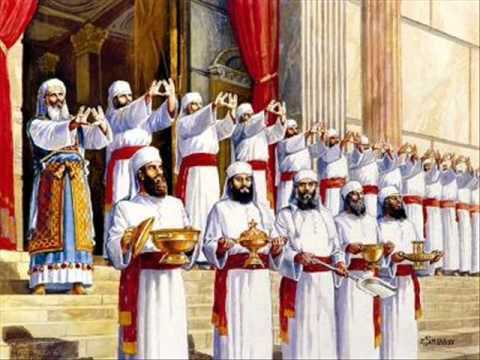 There are Kohanim, Leviim, Shvatim, Gerim (Egyptian/Edomite and others), Mamzerim, Halalim. To this day, "explicit statements in Chazal, and centuries of Jewish tradition" regulate whom a Kohen can marry and where he can go. It may be necessary to allow the kollel system to collapse. Soup kitchens could feed starving Charedt families and tents distributed as housing. Then Charei Jews would insist on modern schooling for their children. But do not give out any money. R. Beckerman has proven time and again to be quite factually challenged. He's a classic nouveau- Chareidi Kool Aid drinker. Live and let live. Charedim have the right to live in their own shtetel anyway they want, as long as they don't harm anybody else. So I had to go to Cross-Currents. Wow! First, they don't bother linking to, or even citing, your reply. That's just dishonest and ugly. (Oh, sure, they hide it behind some policy of not linking, which is of course selective.) Second, Beckerman inserts himself into every single comment, because he can and it gives him the advantage. But perhaps the worst is, I have to see drivel from Shafran, on the one hand supporting killing Jewish babies, and on the other arguing that Obama is good for Israel. Well, I always need to remind myself that this is the man who thought Madoff was an OK guy and Sully not so great. "Wow! First, they don't bother linking to, or even citing, your reply. That's just dishonest and ugly." He is specifically responding to what R' Slifkin wrote. He is thus *obligated*, under any measure of decency, to provide a link or at least cite him. He does not. I don't know who "200k chump" is. I call them by their last names because so far as I know they are not rabbis. Semicha does not make you a rabbi. Shafran is a columnist and PR flack. Why should I elevate him above me? I am pretty sure that whenever I wrote a response to someone, I included a link to what the person wrote. Nachum- well now you know he is a rabbi. He learned in KBY and has semicha. 200k Chump is the "anonymous" blog your friend gershon used to write. Second, I think it's important to note two critical things about the Rav Moshe you quoted. First, the time at which Rav Moshe wrote that T'shuva presented an entirely different economic milieu than today. In those times, a high school diploma or GED was sufficient to provide entry to blue collar jobs that were more than enough to support a family - and some of those jobs were open even without those credentials. Today, that is no longer the case. As the economy has moved from manufacturing to service and information technology, a high school diploma is useful only in as much as it provides entrance to higher education. Which brings us to the second point - R' Moshe's focus on PREMATURELY concerning oneself with a future need for parnassa. There are several implications of this. First, that it is, in fact, important to concern oneself with parnassa at the right time, and that there is a right time to do so. Were that not the case, R' Moshe would not have said "people who prematurely concern themselves with the future need for parnassah" - but "people who concern themselves with the need for parnassah." Your argument thus ignores the fact that a time in which Avreichim are desperately struggling to take care of their families, where Avreichim (as heartbreakingly described by Mishpacha recently) are bringing their parents to dinei torah for support, and where the children of Avreichim are hungry all too often, is clearly that RIGHT time for concern with parnassa. Second, that prematurity is itself defined by necessity. Were it true that Avreichim could, as a rule, transition to working jobs sufficient to support their families without the secular education being advocated for, then your point would hold, and Rav Moshe's psak would apply. But the financial state of the Israeli chareidi world makes clear that - happy outliers aside - that simply is not the case. Were it true that the current Chareidi educational approach was sufficient to enable Chareidi society to be self-supporting, this would be a non-issue. There would be no crisis of funding in the Chareidi world, the non-Chareidim would not be resentful (since the resentment arises from the need to increasingly fund a population that philosophically refuses to take steps necessary to enable it to be self-supporting) and few if any would be advocating for changing the Chareidi educational paradigm. Rachmana L'tzlan, that is not the case. The Chareidi world is not self-supporting, as currently constituted. One major reason for that is the inability of Chareidim to obtain the high paying jobs necessary to support large families, torah institutions, and non-working Avreichim. That inability is directly traceable to the lack of the secular education that, in today's economy, is necessary to obtain such employment. In other words, in today's economy, a high school education isn't "prematurely" concerning oneself with parnassa, because waiting until later makes economic failure all but inevitable. Alas, only a real economic collapse will be convincing. It's on the way. We should prepare soup kitchens for the hungry and tents for shelter. No money should be given out. Very soon, there will be demands for modern education and the beginning of normalcy. It will be hard and painful, but there is no other realistic option. What really gets me is that R' Beckerman is doing what the Charedim accuse LWMO of doing, changing halacha to fit social realities. It is an undeniable fact that the Charedi world after WWII introduced an unprecedented social change, kollel for all where the husband sits and learns and doesn't support his wife. All you have to do is read the kesuba (or listen at a wedding). Every time I go to a Charedi wedding where the boy is sitting and learning I wonder how they aren't embarrassed to read the kesuba aloud. The kesuba states explicitly that the husband agrees to support his wife and yet here is this Yeshiva bachur who has no intention of fulfilling what is written in the kesuba. I guarantee that if someone proposed a change in the kesuba to reflect modern realities they would be shouted down as reform and yet, Charedi jewry has changed the kesuba just without changing the text. It would be interesting if some Chareidi women brought their husbands to beit din over the issue. "It is further agreed that many Charedim who went to Yeshiva Ketanah do have jobs. Granted, not extremely well-paying ones. but jobs: electricians, technicians, shopkeepers, clerks, bank tellers, security guards, cab drivers, bakers, real estate agents, moneychangers… In aggregate, many such jobs exist"
Unfortunately, those jobs are going away because of technology. Blue collar jobs that require little education are dying out, more and more jobs are requiring higher education. In the last 20 years, Western economies (I am including Israel for this discussion), have shifted from manufacturing economies to service/knowledge economies. This has had profound effects on workers with little education. In my parents generation, blue collar workers could make a decent middle class wage and could provide for their family. Those types of jobs are gone today. Manufacturing jobs have moved to low wage countries like China, Vietnam, etc. and automation has eliminated thousands of jobs. On Chanuka, we took the kids on a tour of the Nesher cement factory in Ramle. The factory is huge (it is so big it has it's own power plant) and produces all of Israel's cement. We had to take a bus on the grounds to get around on the tour. And yet, this huge factory only employs some 250 people, many of them highly educated professionals. 50 years ago a plant like that would have provided thousands of jobs to blue collar workers. This trend is only increasing and will severely impact those who have little education (e.g. Yeshiva Ketana graduates). It is really fruitless to further comment here. There is nothing that can convince Rabbi Beckerman of how wrong he is. The objective reader should have no problem seeing how Rabbi Beckerman routinely avoids answering the issues that are raised. I will let Rabbi Beckerman have the last word (if he even allows this through). The last point I’ll make is that his position is is even more dishonest than those of the conservative and reform movements. At least they admitted that they were straying from tradition. The Charedei paradigm of Kollel for all is just as big a breech of Mesorah as the other movements, except they don’t have the guts to admit that they have invented an entirely new religion. Wasn't the title of Avi Shafran's article: " How Ultra-Orthodoxy is Most Feminist Faith"? Not Judaism, Ultra-Orthodoxy. So perhaps they do admit it. This column (albeit one anecdote) utterly contradicts R' Beckerman's thesis. I read the article you linked to, Marty. Point well taken, but note this: the writer clearly thinks very highly of himself, but we don't know if his opinion is shared by others. He appears to have fallen for the myth, hook, line and sinker, that yeshivah students are of higher intelligence than the average man on the street, and every one of them would be a successful (fill in - doctor, lawyer, banker, etc) had they but gone to school. Nice to know you are not above slander. I was not the author of that blog. Its funny.. I've never heard of R Beckerman, or even read his articles! But I see that he must have spoken absolute truth!! If it makes it onto this website and all the people on this website have such comments. I wonder where he learnt to speak such truth in this ridiculously crooked world..